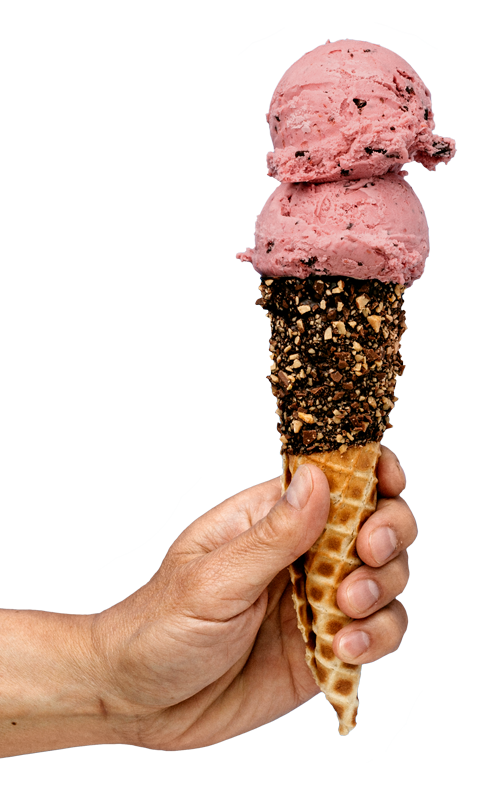 Handfuls of fresh picked raspberries slide up against tiny chocolate chunks and float on in our original sweet vanilla. This is pretty much everybody’s favorite flavor. Ask anyone. Real + pure swiss chocolate. Tons of milkiness. Way more chocolateness. 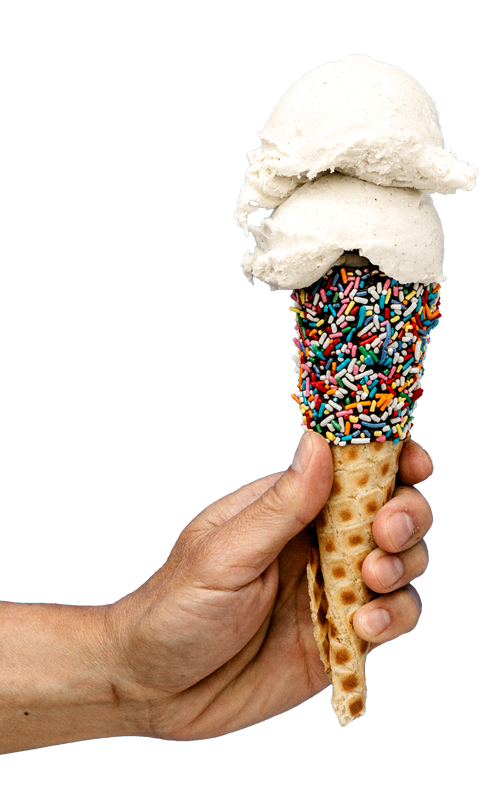 In our 30 some years, not much has changed, but we do continue to craft our ice cream with the very best ingredients that we can get our hands on. 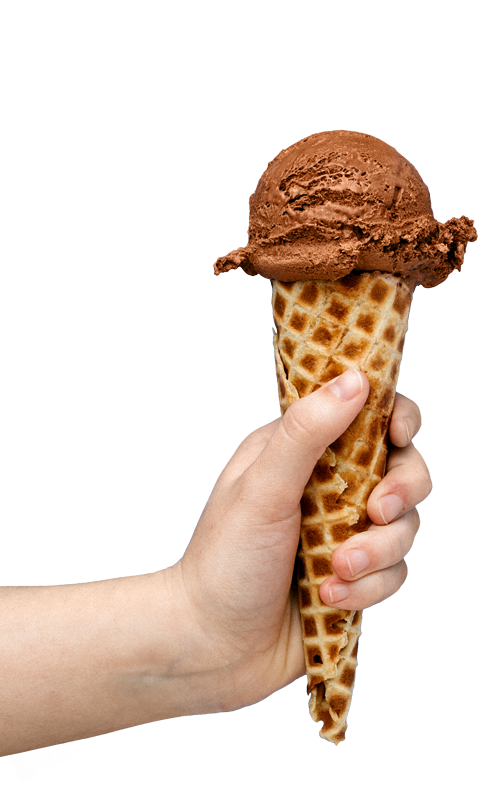 This is one, have to have you, milk chocolate ice cream. While performing here in Mpls, the classically trained opera crooner cried out for some real fine Italian ice cream to cool his famous vocal chords. The complex combination of bananas, caramel and rich chocolate had him singing for more and his assistants running back to cure. 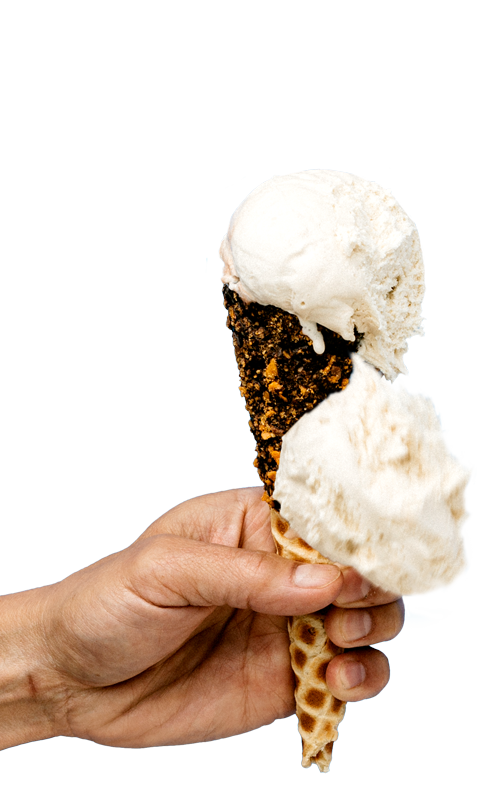 Oh Salty Caramel, you still got it girl. That 100% balance of salty and sweet makes U the 1 absolute one for me. Rich and creamy classic caramels by the pound, swirl, twirl, then dip into fresh vanilla and finished just perfect with a dash of sea salt. With you my love, there is nothing vanilla. You are simple, you are perfect, you are mine. The basis to a great vanilla is just that, great vanilla. We scoured the earth, made crank phone calls to Ben and Jerry’s, and well just did what we needed to do, to find our special Nilla. One taste and you’ll know. Two Words: Real Oreos. 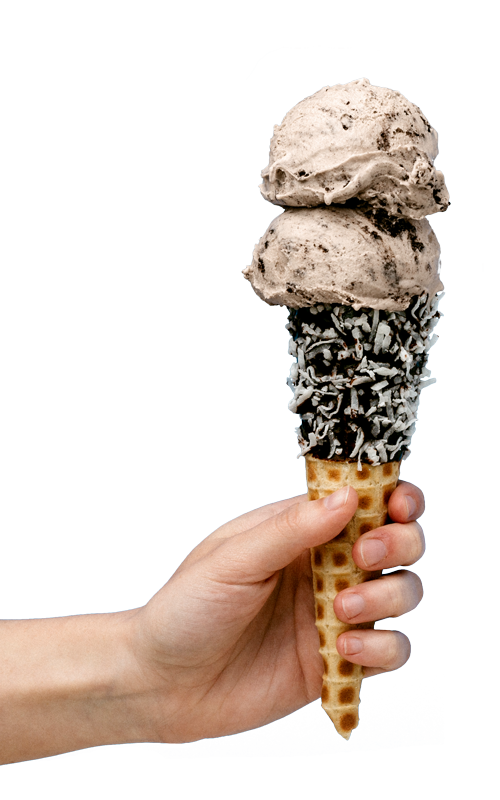 Literally buckets of whole Oreos are crunched and folded into the softest, smoothest vanilla ice cream on the planet. 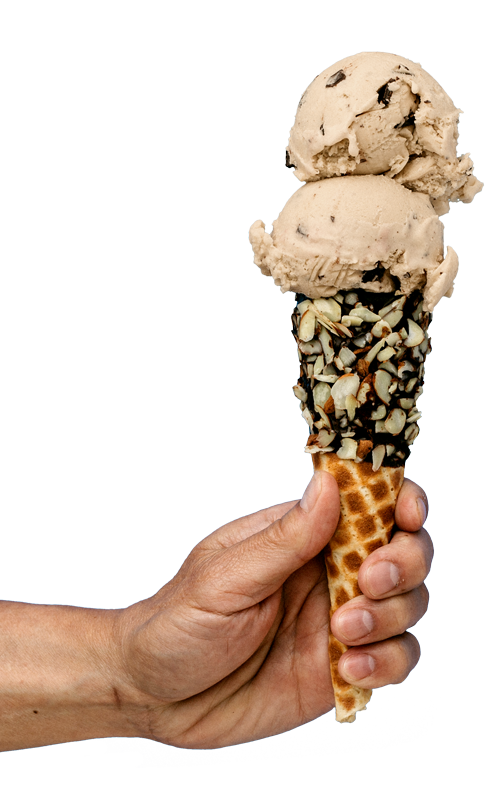 There is no wrong way to eat this ice cream, the only thing wrong would be if you don’t order it again and again and again and again. Oh Oreo, it’s always been you. A pothole doesn’t typically cause elation of any sort. 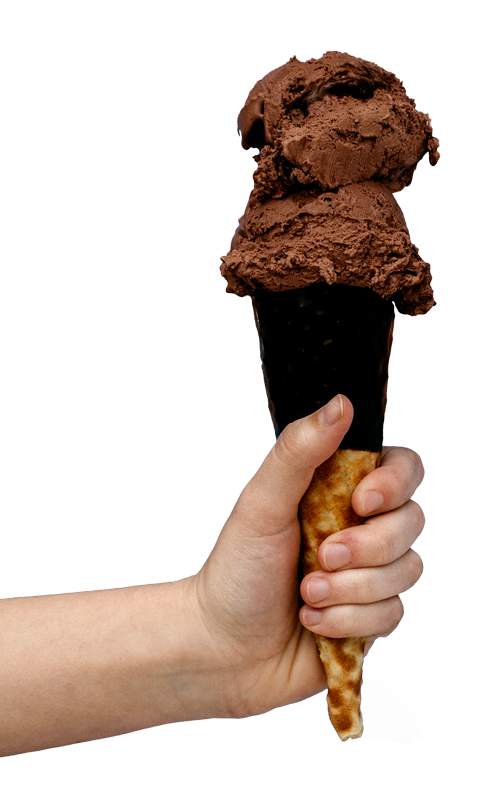 But this deep, rich, chocolate ice cream will make you speed right up and swerve directly for it. Filled with fudge, truffles, chunks of heath bar, and of course a dash of sea salt - The name behind the flavor formerly known as Nicollet Avenue Pothole is one of the city’s best kept secrets.